Last December, I made a sort-of New Year’s resolution that I would complete all of my knitted and crocheted projects in 2015 and put an end to the assorted WIPs cluttering my home. The problem is that I didn’t resolve not to start any new projects in 2015. And a couple of weeks ago I took a class in knitting mitered squares and couldn’t resist starting a new project. 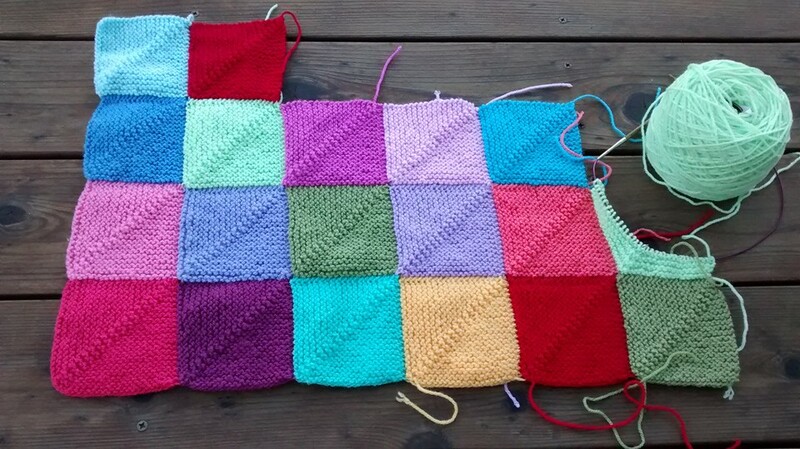 So here it is, less than 50 days away from the end of the year, and I wonder how many squares I will be able to knit and whether I will have a baby blanket or an adult-sized afghan to bring into 2016.